St. Patrick’s Day is on the 17th of March and has become the world’s annual celebration of Ireland, the foremost Patron Saint of the Emerald Isle. When it comes to golf, Ireland ranks among the most revered destinations on the planet and boasts many of the finest and most spectacular courses in the game. Here on Golfshake, we are marking the Day by delving into what makes Irish Golf special. When it comes to Golf in Ireland, Kevin Markham’s knowledge is unsurpassed. The author and writer has played and written about each course on the island, making him the ultimate expert. Check out this comprehensive and varied Interview on Golfshake with Kevin discussing his unique experiences and what golfers should look out for when planning a golf trip to Ireland. Additionally, Kevin has written Reviews on Golfshake about some of the most famous courses in Ireland. Read his informative and entertaining features on the scenic Old Head at Kinsale, the beautiful Cork Golf Club, and the legendary Royal County Down, which ranks among the top-rated layouts in the world. And is #1 on our list of the Best Courses Never to Host a Major Championship. When it comes to iconic holes, Ireland is full of them, but heading to the North, you will find Calamity at Royal Portrush – venue of the 2019 Open Championship. It ranks among the Most Difficult Holes in the World, with ‘Calamity’ having taken many victims during its lifetime. But if you wish to stay inside the atmospheric and culturally rich capital of Dublin, Golfshake’s Owen Davies produced this superb report on how you can spend 48 Hours of Golf in and around the city. This includes playing Royal Dublin on Bull Island and the 2006 Ryder Cup venue, The K Club. If you’re looking for a short city break, with a bit of golf thrown in, you can’t beat Dublin. 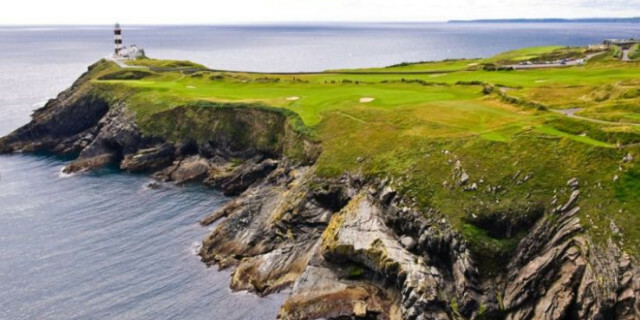 However, if you’re wanting to tick off many of the classics and experience Golf in Ireland to the fullest, we have put together a Guide to Golf in Ireland. We look deeply into the various regions – Central/East, North West, South West, and Northern Ireland, to uncover must play layouts and attractions that you must visit during a longer-term stay. But it soon becomes apparent that a few return trips may be required to sample everything in this Disneyland of Golf. If you live in Northern Ireland or want to play golf for less, check out these Ten of the Bests in the North Under £100 and £50. You can also see the #GolfshakeTop100 to discover which courses have been highly rated by Golfshake Users, including those that come Highly Recommended. 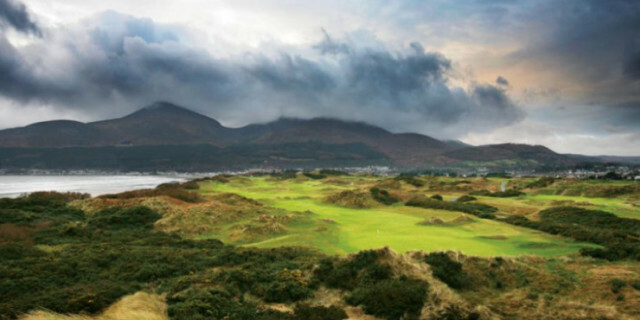 The likes of Royal County Down, Rosapenna, and Waterville also feature in our Top 100 UK and Ireland Summer Twilight Deals, something worth considering if you want to play the best for less. But if you wish to have a trip to Ireland customised and planned for you, Golfbreaks.com is the place to visit for tremendous packages, offers, and travel assistance. Ultimately, Golf in Ireland is special, and if you haven’t experienced it for yourself, the time is now to make it happen.